The UND College of Business & Public Administration continues to top the charts with new rankings released for the 2019 U.S. News and World Report for Best Online Business programs. U.S. News evaluates distance education by gathering data at the individual program level versus the school level. Methodologies are based on student engagement, faculty credentials, student services, and technology. Programs must all be degree-granting programs at regionally accredited institutions and offered primarily online. 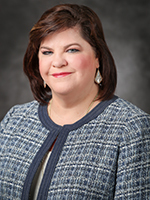 “I am incredibly proud of the work being done in each of these critical graduate programs. Our Online MBA program is now ranked in the top 15% of all such programs, and the MSAE ranking confirms its spot among premier specialized graduate business degrees. I am particularly pleased that we are offering such great returns to our Veterans students. Our high rankings reinforce the outstanding quality of these programs in the College of Business and Public Administration at the University of North Dakota, and indicate the impact of our engaged faculty, accomplished students, and relevant curriculum. Students choosing UND for their graduate business studies can be assured they are making a wise investment in their future,” says UND College of Business & Public Administration Dean, Amy Henley. The MSAE program at the University of North Dakota provides students the opportunity to learn about data analytics informed by economic perspectives. The program is available both on campus and online providing the flexibility to continue pursuing your career while advancing your degree. The MBA program at the University of North Dakota holds AACSB accreditation, which affirms the program’s high standards and faculty qualifications. The program is designed to advance knowledge in the areas of executive management, business analytics, financial analysis, and strategy. In addition, students can choose from a variety of concentrations such as aviation management or social entrepreneurship. Kate St. Arnold, Senior Accountant for Chico’s FAS, Inc., is a 2016 graduate from UND’s MBA program. St. Arnold picked the MBA program at UND for not only its flexibility but for the programs high quality reputation. “The online MBA program at UND was an incredibly rewarding experience that offered me the flexibility to attend school while continuing to work full-time. It was important to me to find a program at an accredited institution that carried a solid reputation making UND a perfect match that came with the added bonus of being affordable. It’s because of the online MBA program that I’ve been able to progress my career to where I am today and know I will continue to reap the benefits well into the future. If I had to go through the selection process again today, I’d still put UND in the number one spot and recommend the program to anyone that is looking for a challenging, fulfilling experience with lasting connection,” says Kate St. Arnold. St. Arnold is an exceptional examples on how graduate programs at the University of North Dakota can be flexible and accommodating for the working professional while earning a degree from a top ranked accredited program with exceptional faculty and high quality curriculum. 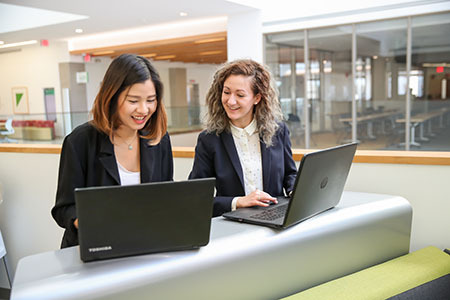 “We are very pleased with the increased rankings for the MBA and MSAE Programs and are always striving for continuous improvement with our graduate education offerings. To be noted as the only Best Online MBA Program in the state of North Dakota is quite an accomplishment. 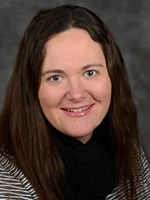 The faculty and staff in the College of Business and Public Administration at UND are working hard to provide students with wonderful program experiences which will advance their careers,” says UND College of Business & Public Administration Graduate Programs Director, Michelle Garske.